Oklahoma State continues to live dangerously while pulling last-second wins out and breaking their opponent's hearts. The Wildcats and Cowboys clash in Stillwater in what is sure to be a physical and bruising match-up. The Cowboys rush offense could be down a significant amount of production when they face the Wildcats on Saturday. Walt Anderson addressed the questionable officiating of the Oklahoma State at Texas game on Saturday with the media. The Cowboys got off to a shaky start on the road, but they got what matters most: the win. 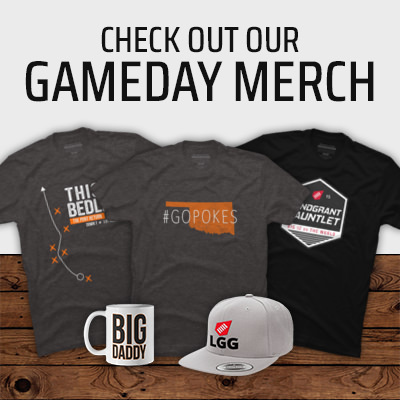 Could Bedlam Move To Championship Weekend? Bob Stoops said that he'd like to see Bedlam moved to Championship Weekend, and now all we can think about is why aren't they? A new photo shows that the Cowboys could be getting a new 'Icy White' helmet in 2015.